Every year I hang up those yellow plastic hornet traps. Some years they have ended up being so full they need emptying midway through the summer but the past couple of years there have been hardly any yellow jackets who think they even merit investigation. This year I have three traps and although there seem to be plenty of hornets hanging around the deck, all I’ve managed to snag is a couple of house flies. I find myself wondering if subsequent generations of yellow jackets have genetically wised up and learned to stay away from the things. I even bought a different brand this year — it has pictures of hornets drawn on the traps and they look especially welcoming, in my opinion. Still no takers. Every time I walk past and see the realistically drawn decoy insects, I think I’ve snared some of the real things — and my neighbor also looked at it the other day and lamented that my trap had caught something while hers had not. I’m wondering how a trap that totally tricks a couple of seemingly intelligent humans, doesn’t fool hornets at all. 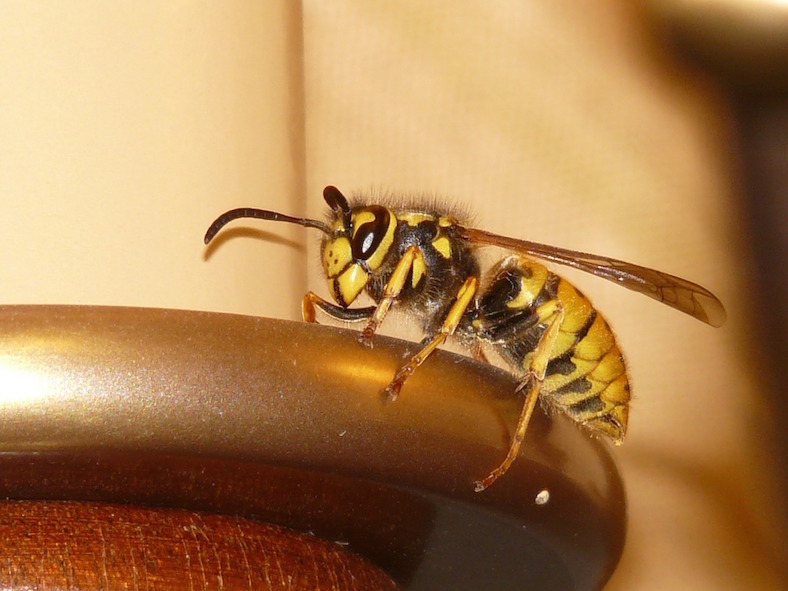 Could there be fewer yellow jackets around? I don’t see as many as I used to. We also have very few butterflies compared to when I was a kid. Yellow jackets “bug” me, too. (Sorry, I couldn’t help myself with the pun). I’ve never seen those kind of traps for yellow-jackets. But most of the wasps around here are black. Mean, nasty looking things. But to answer your question, maybe we aren’t as smart as we think we are? Next story Too Much Information? ?